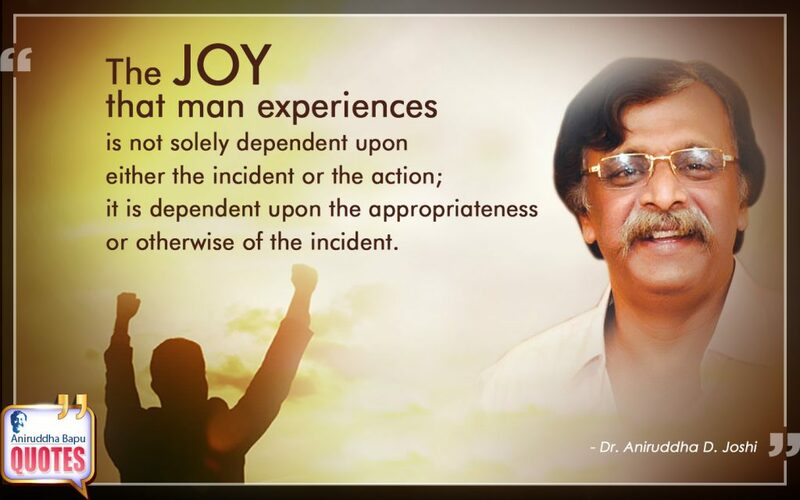 The joy that man experiences is not solely dependent upon either the incident or the action; it is dependent upon the appropriateness or otherwise of the incident. The experience of the elderly can be of immense use for the nation. The experience of the elderly can be of immense use for the nation. 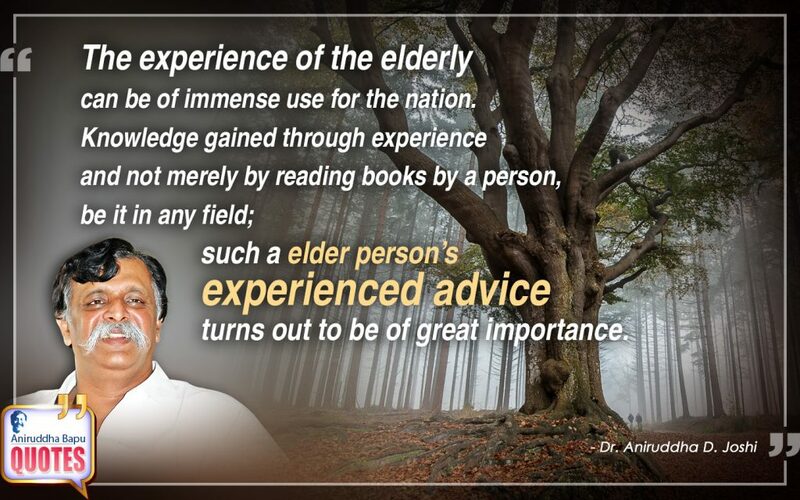 Knowledge gained through experience and not merely by reading books by a person, be it in any field; such a elder person's experienced advice turns out to be of great importance.